Water Heater Installation & Repair in Stuart | Dylewski Plumbing Inc.
We are one of the leading plumbing companies in Stuart, Florida and have a team of professionals who are experienced at installing as well as repairing hot water heaters. For water heaters to be installed as per the plumbing codes as well as to perform efficiently, they should be professionally installed. 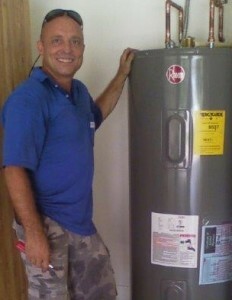 Our water heater installers always ensure high-quality water heater installation at a fair price. Our professionals are well trained and you can trust them with all your plumbing needs. The life of a water heater depends mainly on how it is being utilized as well as its location. With regard to this, water heaters last between ten and thirty years. In Stuart, a water heater is likely to develop some sediment at its bottom mainly caused by the existence of small amounts of limestone in the water. However, this can be a long-term process. A number of things could result in a water heater failing to heat anymore. It is only through an inspection that one can determine if repair is necessary. In such a case, we first inspect the element (heating coil) to determine its functionality. If it has gone bad then we can replace it. If it is functioning properly, then our professionals will carry out a more thorough investigations to identify the problem. When they were first introduced to the public, tankless water heaters did not function that efficiently and were not all that reliable. However, there has been a lot of enhancement with regard to their efficiency as well as quality and as a result, they have become quite popular today. Current tankless water heaters are very reliable in the sense that their water heating performance is excellent and they do last for a long time. Mostly, the main cause for tankless water heaters failing to heat would be that their heating element has stopped functioning. In this case, the only nearby solution is to have the water heater replaced. Tankless water heaters are made in a way such that it is not possible to repair them: only the manufacturer can repair them. For this reason, replacing them after the element fails is the closest option. In this kind of a situation, you will need to have a trained professional inspect your plumbing system to identify the issue. Improper installation of mixing valves, a control valve, or other devices within the bathroom could be the cause, something that can be simply fixed through a supply hose replacement on your hot water line. Carrying out a number of inspections is necessary for the identification of what might have caused the problem. Though water heaters can malfunction out of natural causes like growing old, poor installations contribute greatly to how often your water heater will require repairs or how first it will need a replacement. 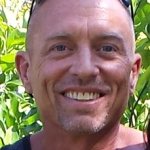 We have been in the plumbing business for more than forty years now serving Stuart and the areas around and understand all water heater brands, styles and models. We always offer free inspection services and can identify any problem and fix it at once.